See hundreds of the most spectacular and colourful butterflies. Discover an exotic rainforest, a lush landscape of tropical blossom surrounding splashing waterfalls and fish filled pools. Open all year (except Christmas). Wheelchair access to all parts of the site. A superb Norman abbey with the largest surviving Norman tower in the country. Formerly a Benedictine monastery, Tewkesbury Abbey is larger than many cathedrals. Features include the exquisitely sculptured tombs and chantry chapels, 17th century Milton Organ and some of the finest roof bosses in England. Open all year (except Christmas). Nineteenth century glassmaking site with one of the four remaining glass cones in the UK. There is a glass repair service, coffee shop and Stuart Crystal shop together with 15 craft shops in the newly refurbished cone area and museum. 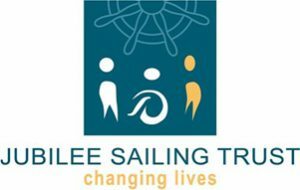 The Jubilee Sailing Trust (JST) is a unique charity that aims to promote the integration of people of all physical abilities through the challenge and adventure of tall ship sailing. The JST owns and operates two tall ships, LORD NELSON, and TENACIOUS. These magnificent ships are the only two vessels in the world that have been purpose-designed and built to enable a crew of mixed physical abilities to sail side by side on equal terms.